importify tool helps you to manage the import section of your Haskell project modules. GHC compiler can warn you about unused imports, and it’s a good practice to remove such imports immediately. But this becomes tedious, especially if you use explicit import lists. Importify can remove unused imports automatically. You can use stylish-haskell after importify to prettify imports. Add missing imports automatically, so you won’t have to manage imports manually at all. Download caches for Hackage packages to speed up Importify runs. Upload your caches for yet-to-be-published FOSS projects to make it easier to collaborate. 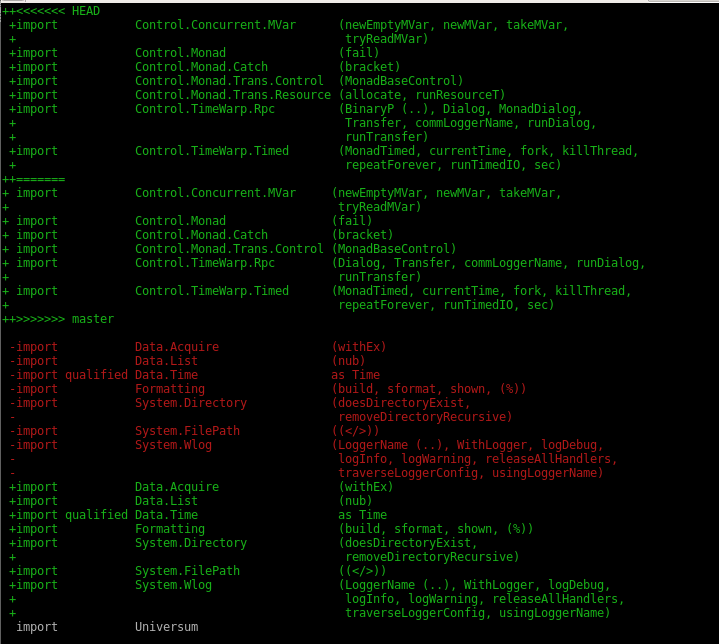 Query mappings from any module of every package to symbols exported by it to write your refactoring tools. Convert imports between implicit and explicit, and between qualified and unqualified forms. Resolve merge conflicts in import section automatically. See an example of such conflict. Installation process assumes that you have already installed and configured stack build tool. Currently importify works only with projects built with stack. Install just as every usual package. Before removing redundant imports run importify cache command. 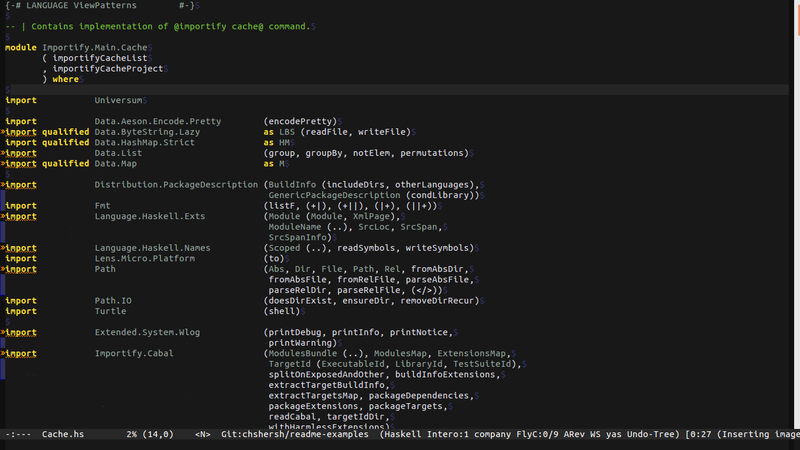 Importify stores local cache for the project under the .importify folder inside your project. 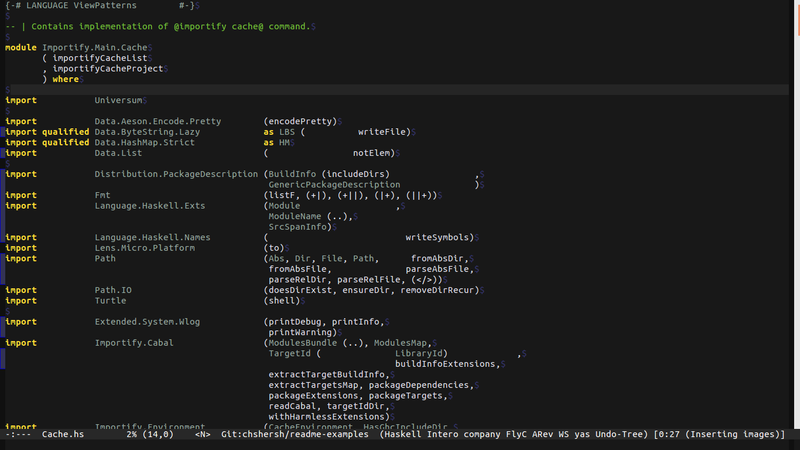 This cache stores exported entities for each module for every dependency and for all your local packages. Make sure to re-run importify cache if you change the list of exported functions and types in your project modules. Cache is built incrementally; it builds dependencies only once. But if you add dependencies or use other versions of them (for instance, because of bumping stack lts) you need to run importify cache again. You can always perform rm -rf .importify before caching if you face any troubles. #79: Remove hard-coded gold linker from .cabal file.